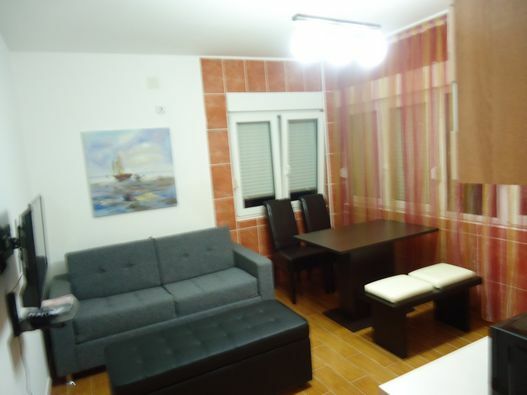 This apartment comprises 2 rooms! It has a bedroom with double-bed and balcony, as well as a living room with a folding double-bed, also with kitchen and balcony. It covers 40m2. 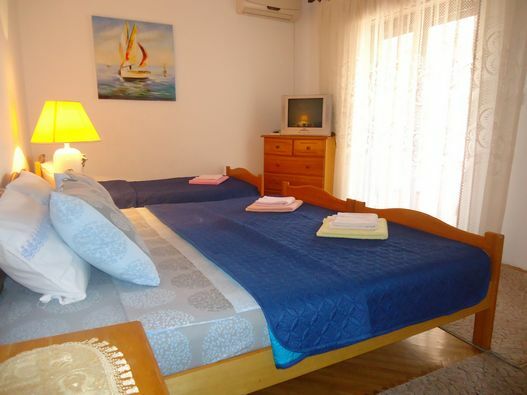 The apartment is suitable for families with children, as well as for friends who come as couples, given that the rooms are separated and each room has its own bathroom. The apartment is on the 2nd floor. It consists of two bathrooms and two rooms: a bedroom with a double bed and a room with a kitchen, dining area and a three-piece suite. 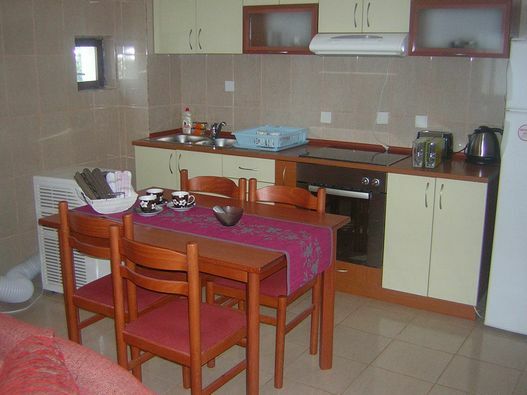 The kitchen contains all necessary appliances (fridge, oven, microwave, crockery). 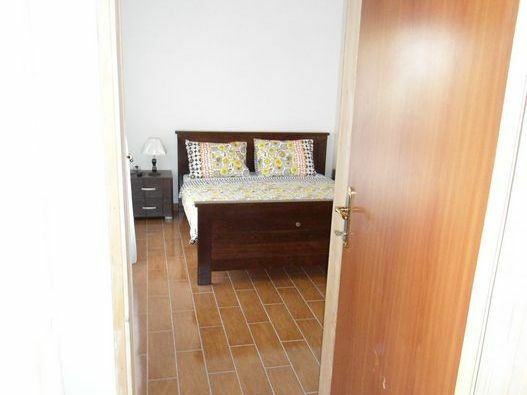 Studio apartment with four beds (2+2). On the first floor. 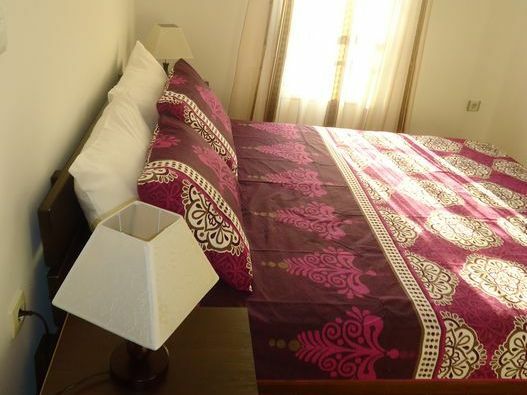 Comprises kitchen with utensils, bathroom, air-conditioning, satellite TV, Wi-Fi internet, balcony. The studio for three is on the ground floor and first floor, with an area of roughly 30m2. 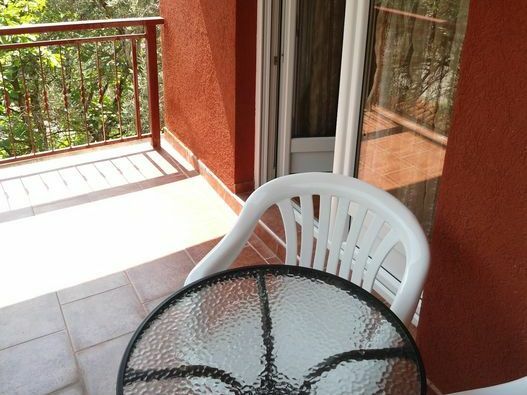 It comprises bathroom and large terrace with a kitchen.